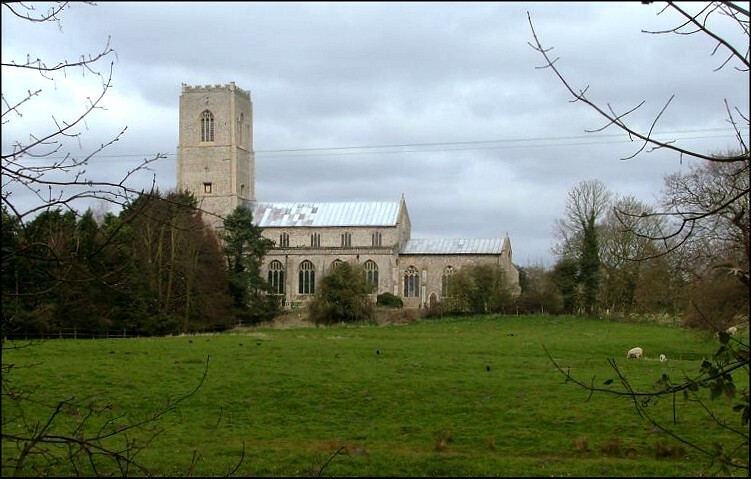 This magnificent beast of a church bestrides a ridge to the north-east of the town of Watton, and is visible for miles around. 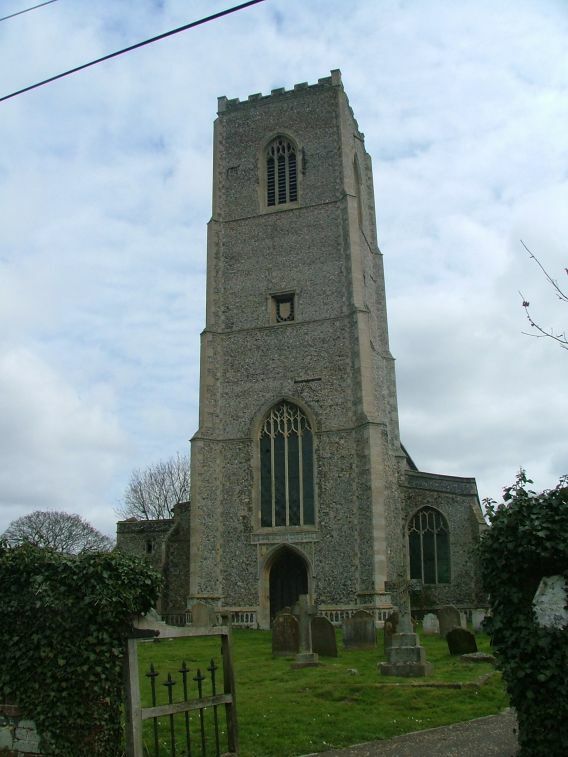 There are several great 15th century towers in this area - Hingham and Deopham are not far off - and the rolling countryside is the quintessential Tourist Board Norfolk, medieval beacons rising above gentle treetops. 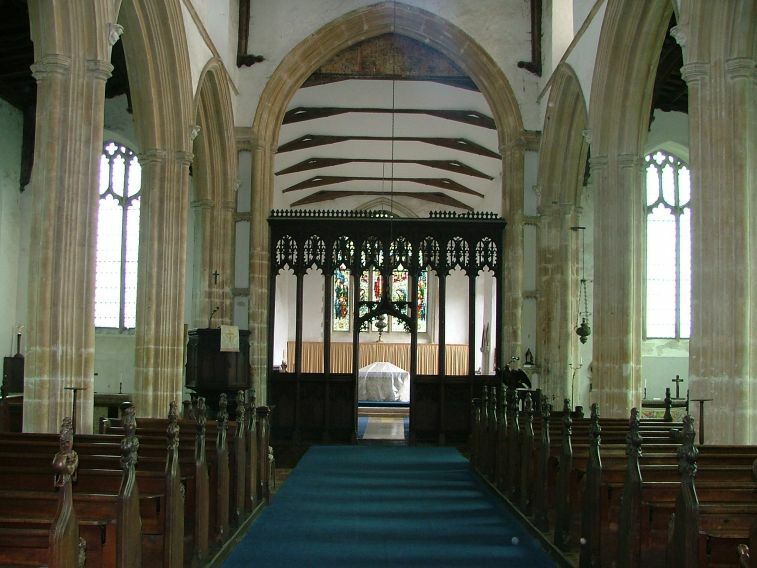 St Peter and St Paul is itself a typical example of a great East Anglian church, with an aisle and a clerestory ranged above it on both sides of the nave, and a substantial chancel which is in itself as big as some of the county's smaller churches. 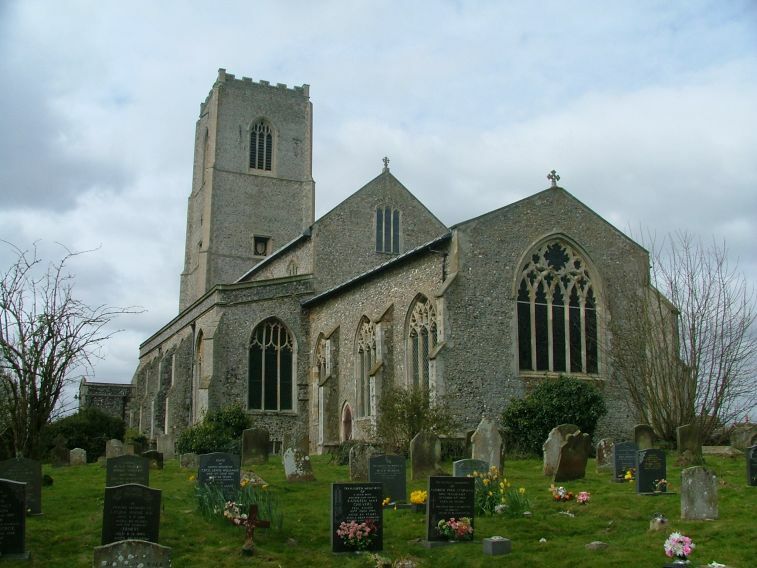 Carbrooke is a sizeable village with its own school, but the church sits above parkland and meadowland, ruling all it surveys. 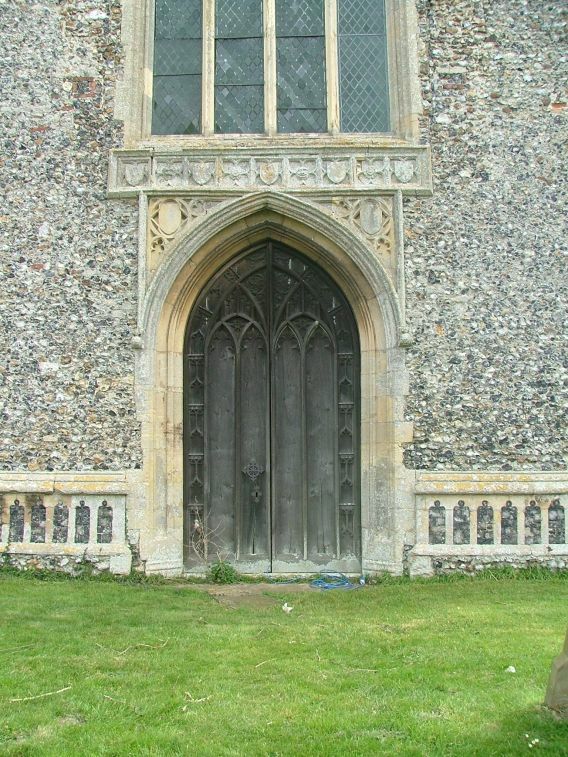 The church is one of a number in this part of Norfolk which is kept locked, which is a great shame. There is a keyholder notice; the keyholder is some way off. He was very friendly, but his muddy-footed dog was even friendlier. I am six feet tall and weigh fourteen stone, but it nearly knocked me off of my feet. You can leave the key at the gate when you take it back, though, leaving the dog gazing at you rather sadly through the fence.. The south porch conceals another of those ogee-arched doorways that seem to have been a local fashion here. 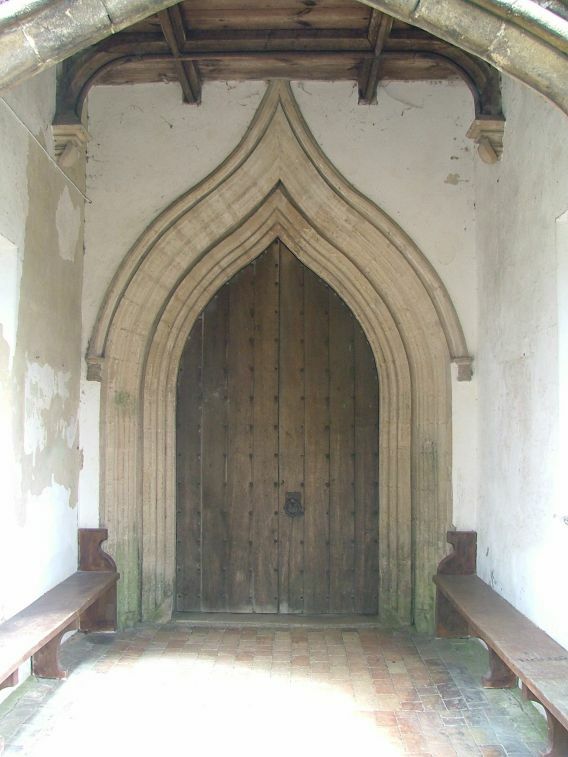 I unlocked the door, and we stepped down in to a vast, silent space. The 19th century restoration here was considerable. 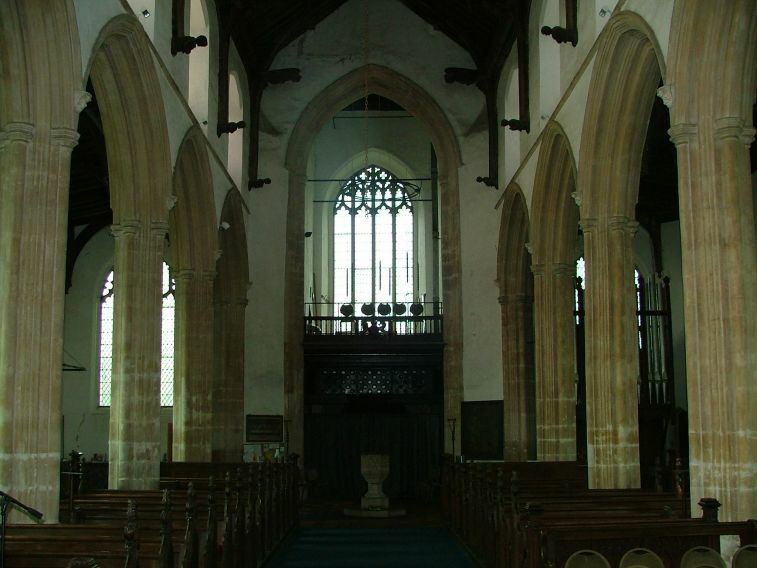 The church is a big one, and the result is not entirely satisfactory, for there is an anonymous, almost urban feel to the nave, the arcades lifting the beautiful clerestory windows aloof from the middlebrow Victorian furnishings, despite some of them retaining medieval bench ends. The roof above is very odd; there is a plaster ceiling, but protruding through it are parts of the beams, like the skeleton of a great white whale. 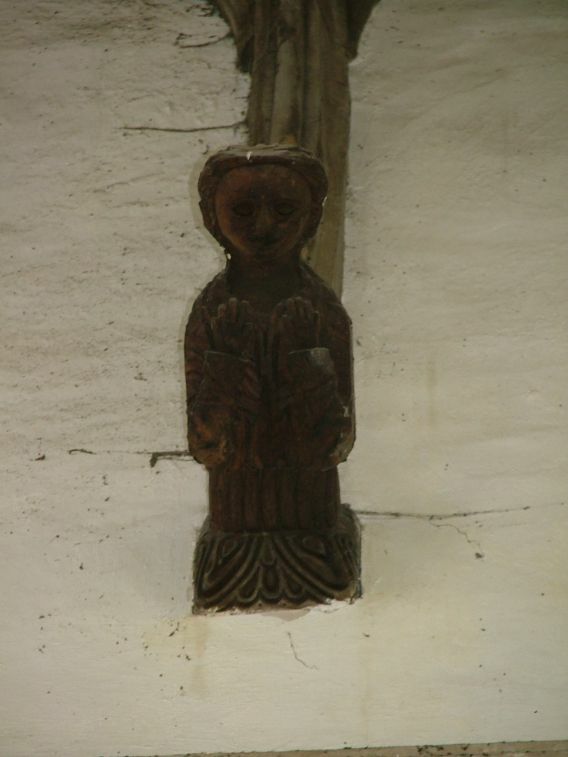 Angels holding symbols have lost their wings, but are probably the 15th century originals. 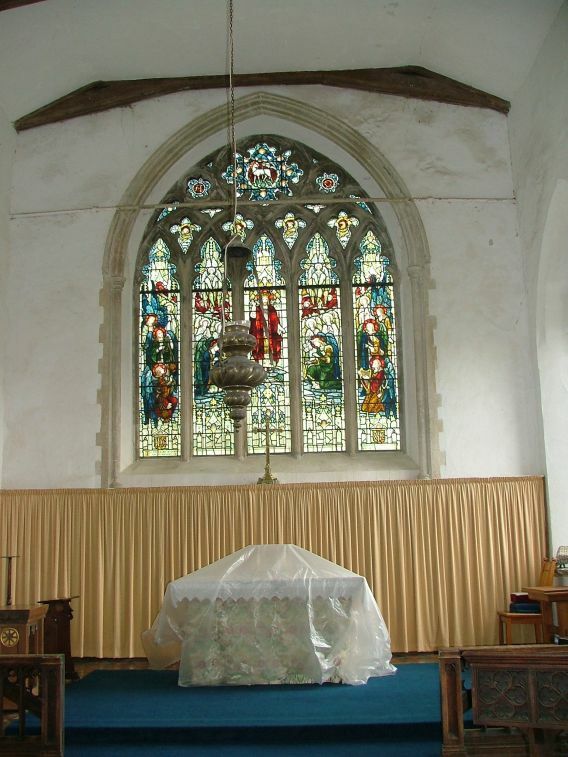 A fascinating medieval survival is in the floor of the chancel. This is a pair of coffin slabs that date from the 13th century and have the cross marks of the Knights Templars. They are believed to Roger de Clare and his mother, who founded an order of Hospitalliers here in the the final decade of the 12th century. 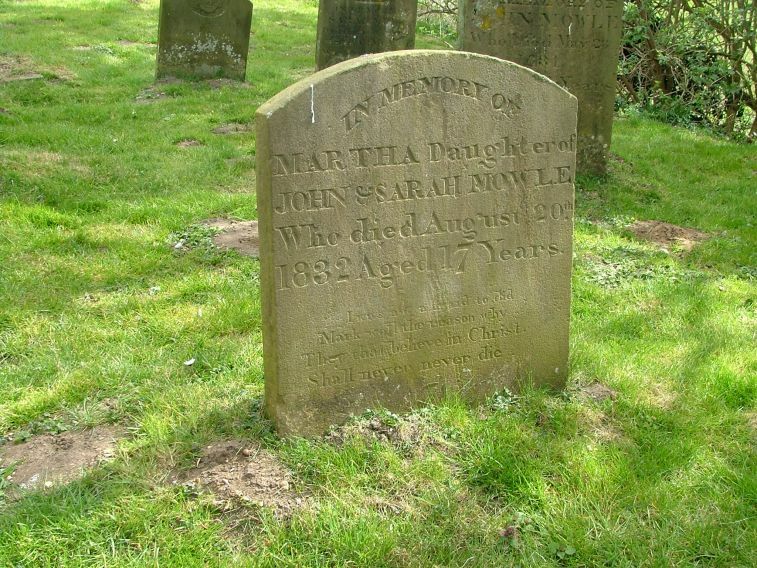 If so, these are among the oldest memorials in East Anglia. 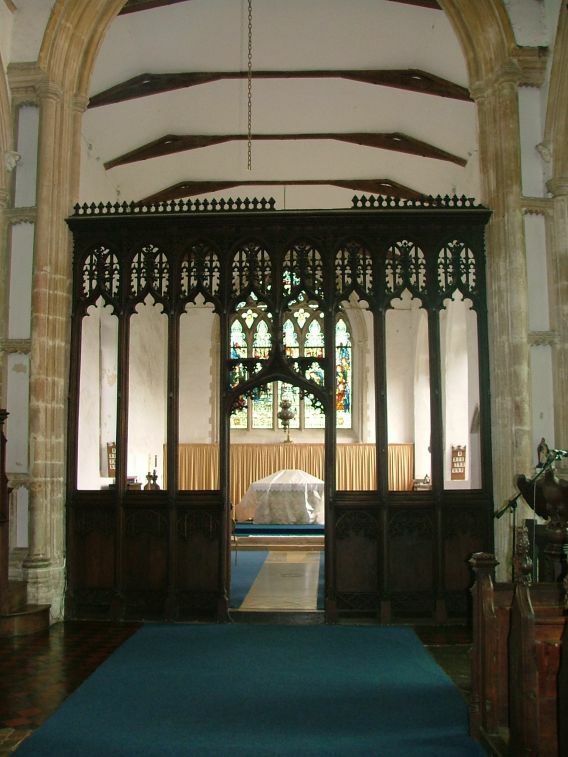 Separating the chancel from the nave are the remains of what must have been a fine late medieval screen. 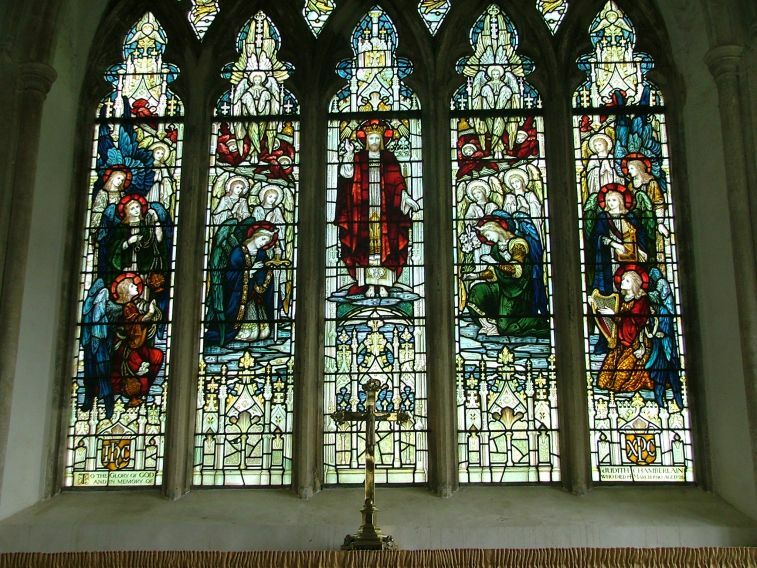 Aside from this, there is little memory of medieval days here, but in any case the best feature of the church is its excellent early 20th century glass by the workshop of Powell & sons. Christ the King stands triumphantly in Heaven displaying his wounds, flanked by angels; St Michael is on his right, St Gabriel on his left, and all the serried ranks of angels around and above. 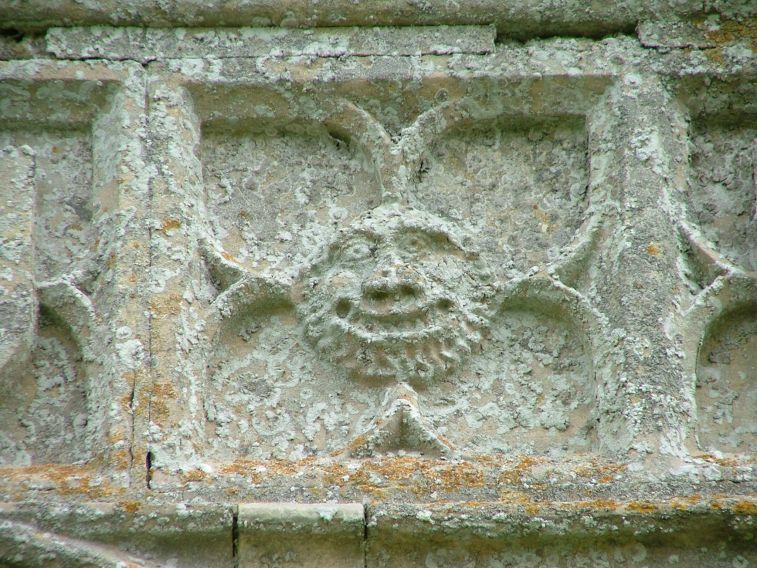 The evangelistic symbols are in small quatrefoil lights above - St Luke's bull looks disarmingly like the symbol of Colman's Mustard, a pleasing thing to find in Norfolk. 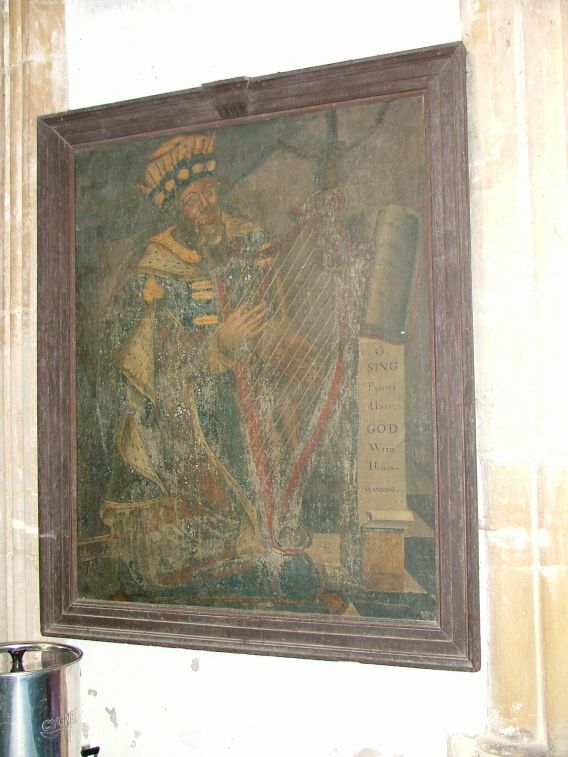 Back at the west end, a large painting depicting David playing his harp is 18th century, and may have been part of a decalogue set. A rather more curious painted board can be seen by turning to face the east. 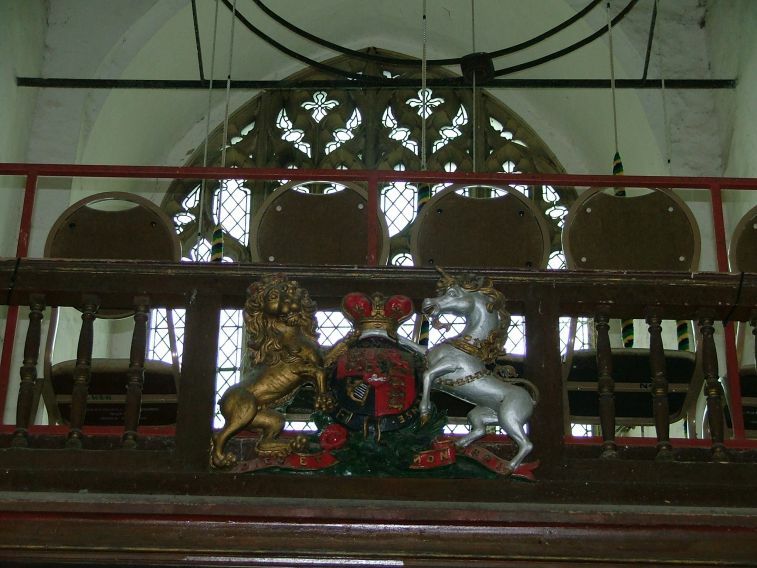 This is the small tympanum set in the very top of the chancel arch, as if it were a fire curtain waiting to descend. 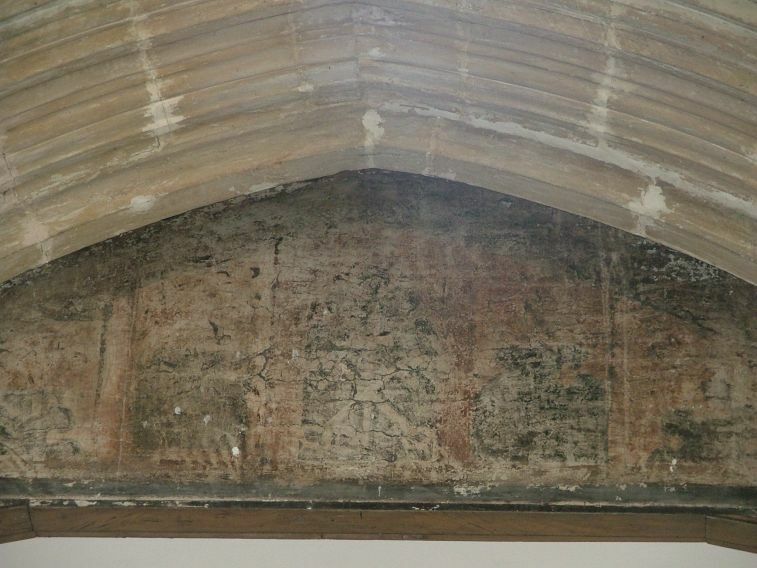 It appears to have three niches painted on it, a large one flanked by two smaller ones. It seems too small to have backed the rood, and in any case it does not look old enough. Was it a fixing for the royal arms, perhaps? For the dear God who loveth us he made and loveth all.